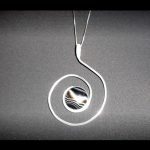 A sterling silver swirl pendant that is hand fashioned. 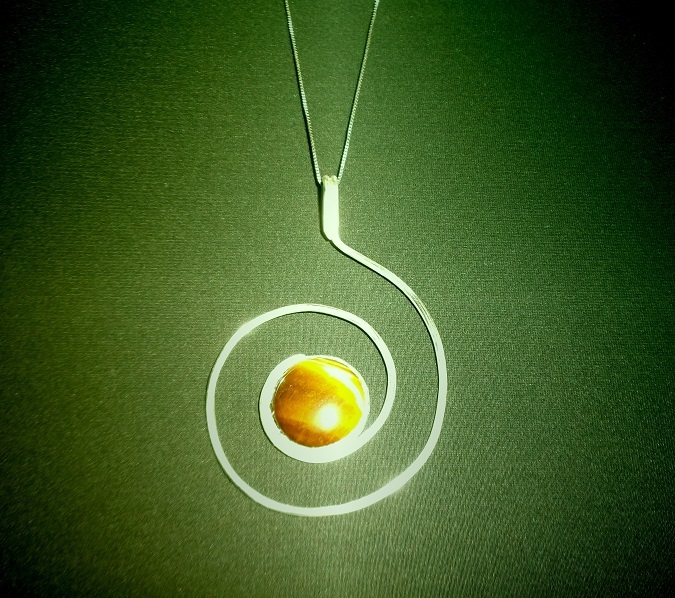 This pendant is accented with a 20mm gemstone. This item measures just under 2 inches across. 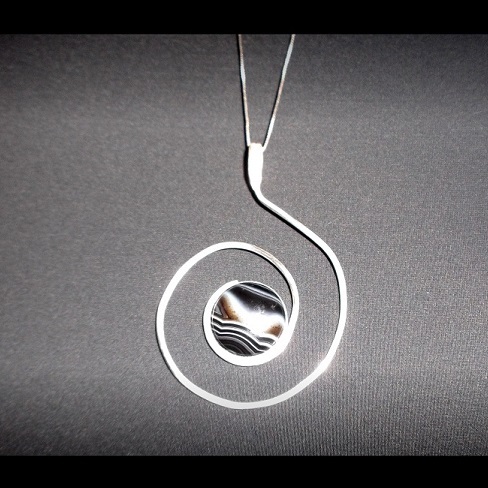 Here is a sterling silver swirl pendant that is hand fashioned. 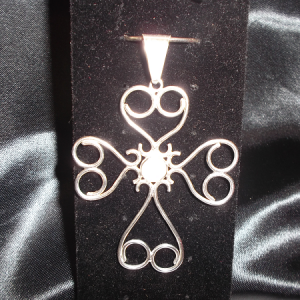 Made with 14 gauge sterling silver with the bail soldered at the end for added strength. 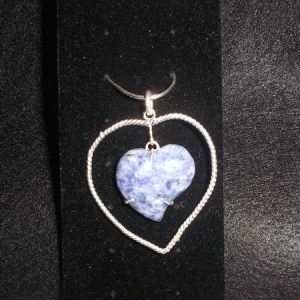 This pendant is accented with a 20mm gemstone. 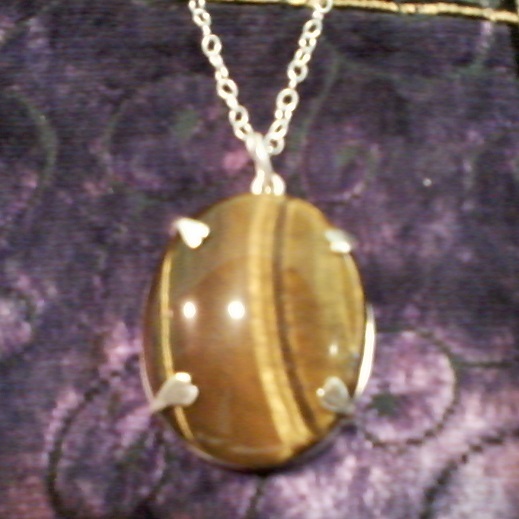 Shown here with a Tiger Eye. This item measures just under 2 inches across. The bail is large enough to accommodate even large chains with an opening of over 3mm. The chain shown is optional. 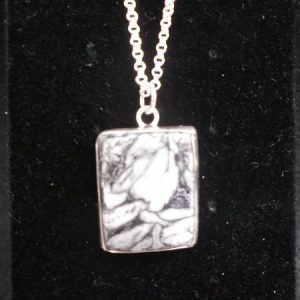 Other chains are available as well.